You’re always going to search for the best odds when it comes to betting, whether it be the Champions League Final, the Grand National or a standard Premier League weekend or day at Newmarket. Best odds guaranteed makes sure you don’t miss out on the best possible price ahead of a fixture. It can be a real sucker punch, missing out on odds that have got bigger at the start price. Being punished for organised betting shouldn’t exist. However, the top online bookmakers are now offering best odds guaranteed regularly, meaning that you won’t miss out on any extra profit you could have gained. It’s one of our favourite offers here at Bet and Skill and an offer you really shouldn’t miss out on. 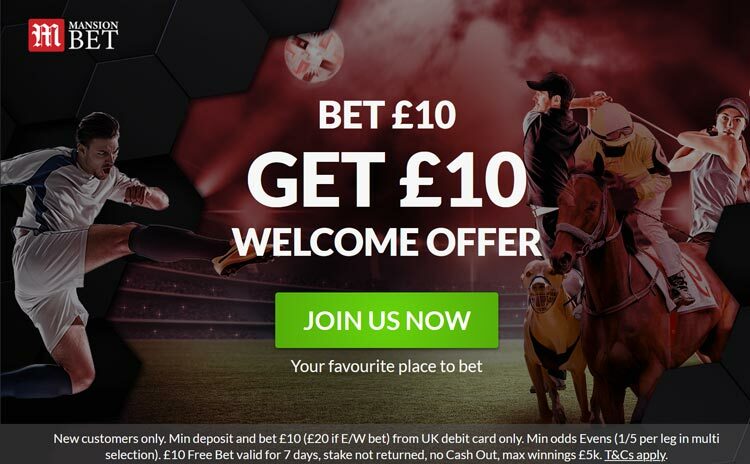 For those new to betting, you’ll find all you need to know about best odds guaranteed below, with all the best bookmakers to get this brilliant offer. So what’re you waiting for, take a look at our best odds guaranteed offers today. Best odds guaranteed can be confusing for some. In retail companies may offer a price match, and in some cases punters believe this to be the case with best odds guaranteed. Best odds guaranteed doesn’t mean you’ll receive the best odds across all bookmakers. For example, you may see Manchester United to win the weekend’s match at 5/1 with William Hill, but Paddy Power have them at 7/1. If William Hill were to offer best odds guaranteed on this wager, it wouldn’t mean you would receive the same odds as Paddy Power because they’re offering better odds, it would actually mean if William Hill were to extend the odds to 7/1 as a start price, you would receive the better odds if you were to back them at the original 5/1. Essentially, best odds guaranteed actually means you’ll receive the best odds from the moment you make the bet against the start price. This means that if you placed a bet at one price and then there is higher odds at the beginning of the fixture, the bookmaker will pay the higher odds. 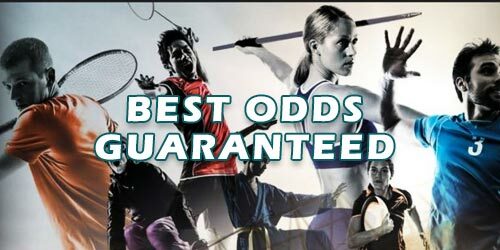 Can You Get Best Odds Guaranteed On Different Sports? You can get best odds guaranteed across a number of sports, with it varying dependent on the bookmaker. The most common sports to offer best odds guaranteed are football and horse racing, although you’ll also find it in the likes of boxing, Formula 1 and many more. In the case of horse racing, you’ll find best odds guaranteed offers on a daily basis, with a number of bookmakers offering the promotion across all UK and Irish horse racing. You’ll most frequently find best odds guaranteed with horse racing, with most major bookies offering best odds guaranteed on all the racing across a week from the likes of Newmarket, Aintree and Ascot. The way it works is simple, if you back a horse at a certain price and the start price is higher, you’ll get the higher odds paid out to you. Bookmakers such as Bet365 are big on best odds guaranteed and one of the go-to bookmakers for the offer. You’ll find the offer across many of the best bookmakers though, including Ladbrokes, Coral and Betfred. If you place a bet on the Grand National for example on a horse called Red Star and it was 12/1 the week before the race, but the odds changed to 16/1 as the start price. If the horse went on to win, the bookmaker would pay out the 16/1 and give you the best odds guaranteed. Naturally, if the odds were to shorten at the start price, you would still be paid out on the 12/1 odds, again giving you the best odds guaranteed. Best odds guaranteed in football are becoming increasingly popular, especially when it comes to match result betting. You’ll come across it with most bookmakers and they’ll often cover a variety of markets within football. This could include goalscorers, promotion and relegation contenders and both teams to score markets. They’ll generally be offered across most of the biggest leagues, including the Premier League, Football League, La Liga and the Champions League, while you’ll also find them across major tournaments such as FIFA World Cup best odds guaranteed. Best odds guaranteed offers are among the most popular in sports betting so you’ll find them across most bookmakers. The likes of Paddy Power and Ladbrokes will offer it on horse racing without the need to even select the offer, while you’ll find it in some capacity across almost every bookie. They are particularly ramped up around major festivals and tournaments including the Cheltenham Gold Cup, Grand National and World Cup, so it’s well worth heading to the promotion pages of each bookmaker. You can find all our favourite bookmakers on our bookmakers page, where you’ll also find in depth reviews on each and every one. There’s never a bad time to use best odds guaranteed offers and these days you’ll find them across most horse racing meets available to bet on. They’re well worth taking advantage of and it’s worth seeking out the bookmakers who are offering it for every bet you make. They’re worth combining with a free bet, particularly if the bet you’re wanting to make has an element of risk, backing an outsider for example. Here at Bet and Skill, we offer predictions on horse racing and football each and every day so make sure you take a look at what our experts are saying before making your best odds guaranteed bets.